Rig decommissioning mandated by federal Idle Iron policy is destroying marine habitat, opponents say. "Another fact is that the same rigs that have become magnets for aquatic life are being erased from the Gulf of Mexico at an increasing rate. 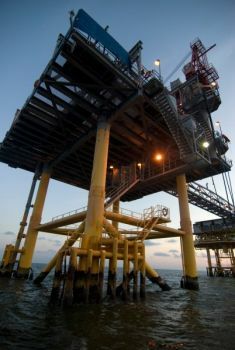 This year alone, it has been reported that 359 decommissioned rigs and platforms are scheduled for removal in the Gulf. And while there is some speculation that the figure may be a bit high, it is widely agreed that the removal of even one rig is detrimental to reef fish habitat." There is drive for life, it seems to adapt or perish. While this is great news that life is using this essentially human trash, it's also true that the Gulf is full of toxins from years of leaks by these rigs. Too true Kit--let us hope we are guided by the best science on this one. You cannot currently send a star to Kit because you have done so within the last day. Apparently the marine life below has gotten used to the toxins, hm, strange..and who would have ever thought of this to happen one day, a rigs-to-reef-program, amazing! They still have to find out the reason for this I assume. Although the marine life may have adapted, we don't know what kind of long term affect this will have as far as the eroding iron. Will this negatively affect future offspring of the marine life using the rigs now? I like the way you said that though Angie, rigs-to-reef program. If it can be a win win that would be fantastic. I guess we will find out one way or another. I hope it is not to the detriment of the sea life. I guess we didn't learn any lessons from the Gulf oil spill? It's disaster capitalism hard at work.